We’re so proud of you. You get bigger and stronger every day. What a difference a month makes. Notes: Left complete cleft lip and bilateral palate. Operation performed: One stage lip repair and cleft tip rhinoplasty. Notes: Patient with right unilateral incomplete cleft lip. Operation performed: Cleft lip repair and cleft tip rhinoplasty. Notes: Infant male with bilateral incomplete cleft lip and palate. Operation performed: Bilateral incomplete cleft lip - one stage repair. Notes: Infant male born with complete right-sided cleft lip and palate. Operation performed: Cleft lip repair with cleft tip rhinoplasty. 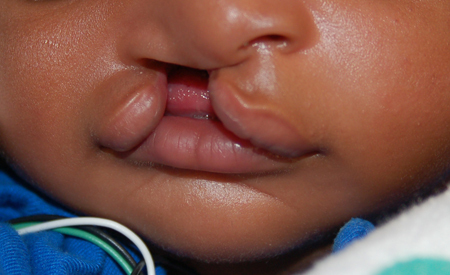 Notes: Premature male infant born with noted bilateral cleft lip and palate. Lip taping employed preoperatively. 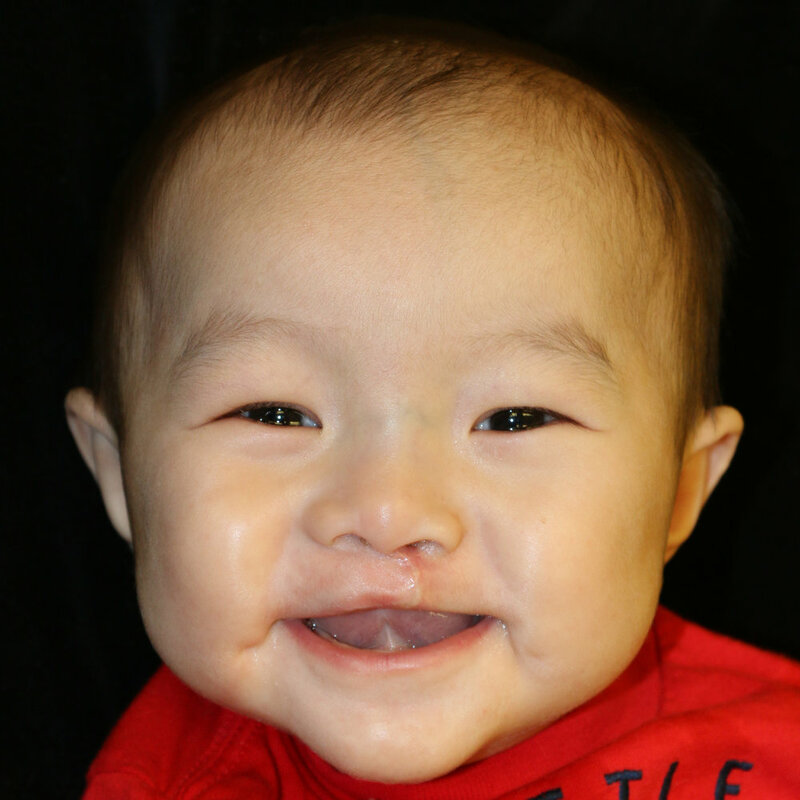 The patient has a shortened columella and flattened nasal tip that will require additional surgery when he is older. Operation performed: One stage bilateral cleft lip repair. Forked flaps used along inferior nasal sills. 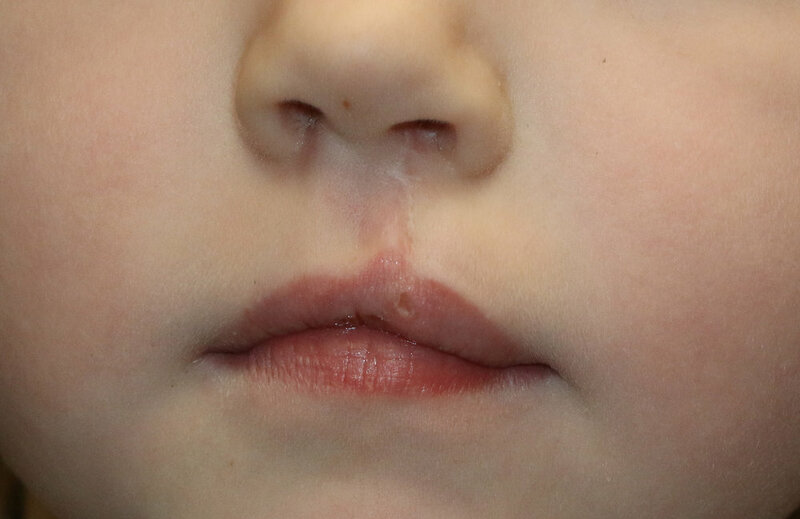 Notes: Patient with history of cleft lip repair as a child with poor muscle and vermillion alignment and widened scar. Operation performed: Cleft lip surgery and cleft rhinoplasty. Notes: Infant girl born with a left incomplete cleft lip. Notes: Young girl born with a left incomplete cleft lip who underwent primary repair as an infant. She presented for scar revision to realign her vermillion border. Notes: Young girl with a bilateral complete cleft lip who underwent initial repair elsewhere as an infant. Her prolabium was deficient of muscle and her vermillion is poorly aligned. Operation performed: Complete takedown and repair with alignment of orbicularis oris. 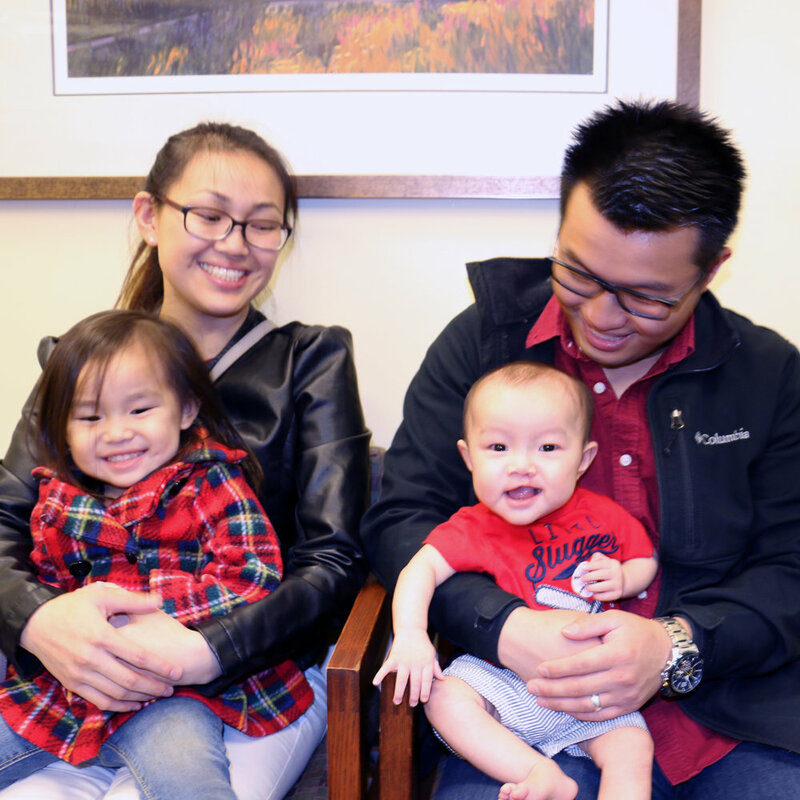 Notes: 5-year-old girl with a history of left incomplete cleft lip who underwent initial repair elsewhere as an infant. Vermillion border became mismatched and her muscle was not aligned. Operation performed: Ccleft lip revision with complete takedown.